Educationist and politician, Ken Imasuangbon has commended the Peoples Democratic Party, PDP presidential candidate, Atiku Abubakar to stakeholders in the sector saying that he was best positioned to elevate the sector among other presidential candidates. Imasuangbon, proprietor of Pacesetter Schools, Abuja in a statement averred that besides the successes he made in various areas of business had also accomplished in the educational sector and famously with the American University in Nigeria, AUN, Yola. “Of all the presidential candidates, I can comfortably say that Atiku Abubakar has made a success in his commitment to education and Nigerians everywhere can attest to the pride of place that the American University of Nigeria, AUN plays in our society. “If he was able to make a success of AUN, I see no reason why he would not make a success in also managing Nigeria’s public universities. It is on that basis that I commend him to everyone that has the interest of promoting Nigeria’s educational sector to greater heights,” Imasuagbon said. “With Atiku as president as he has promised ASUU strikes would be a thing of the past and Nigerian students and parents would be the best for it. 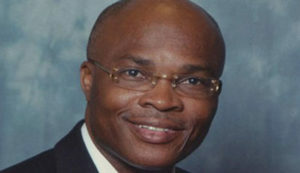 I say this in the light of the fact that there is no other major presidential candidate including the incumbent who has a record in the sector and it is for this reason that I call on all students and parents who have the interest of the sector to ensure Atiku becomes the next president of the country,” Imasuagbon added.